More than 70 University of Houston-Downtown (UHD) students attended the Texas Job Fair on the University of Houston campus Wednesday, March 30. 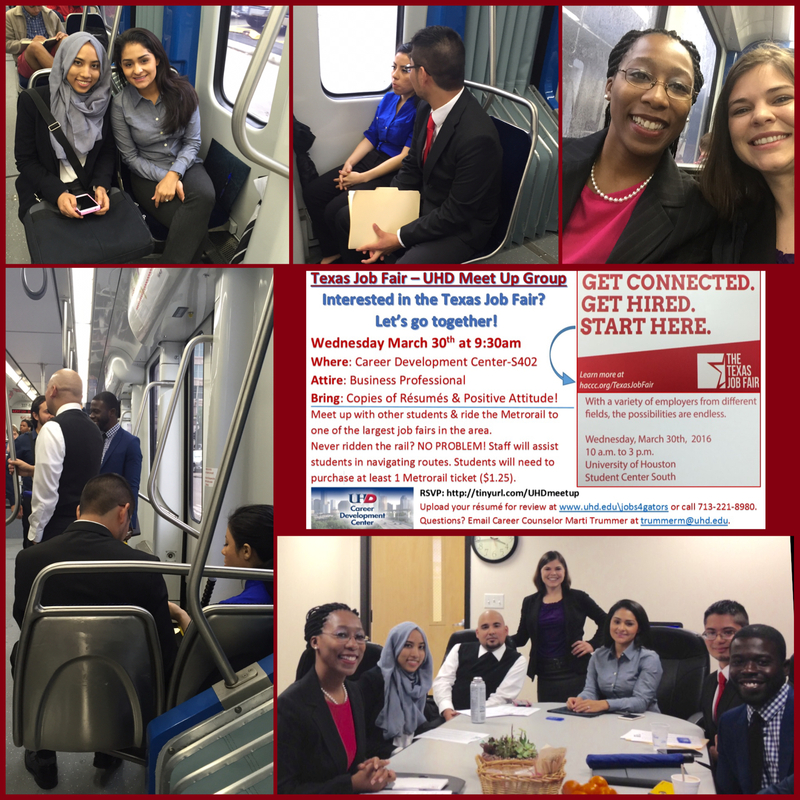 UHD Career Counselor Marti Trummer escorted a group of eight, professionally dressed students, with résumés in hand, onto the METRORail, eager to connect with 130 employers represented at the job fair. UHD student Tanyanika Tidwell noted, "I had a wonderful time and I will be conducting follow up calls this week." Another student commented that IBM requested he submit his résumé. The Texas Job Fair is sponsored by UHD and 14 other local universities, all of which are members of the Houston Area Consortium of Career Centers. UHD Career Counselor Wendy Cooper represented UHD. Cooper said, "Employers were so impressed with our students' professionalism that they took the time to let me know personally what a positive impact UHD students made when interacting with them."